BANGKOK, Jan. 22 (Xinhua) -- A 10-year-old boy and his mother were killed when an express train hit their pick-up truck in southern Thailand's Surat Thani Province on Tuesday. The crash happened on Tuesday morning when the 34-year-old woman drove her son to school. 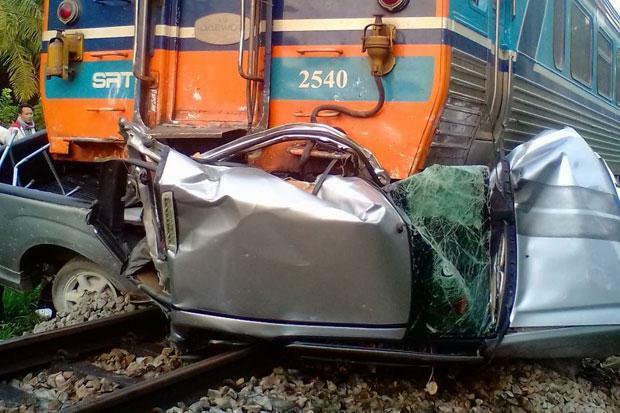 Their pick-up collided with a Bangkok-Yala train at a crossing without a barrier. The body of the young boy was pushed about 100 meters from the crossing by the locomotive of the train. Her mother's body were stuck in the truck. Both were found dead on the spot. It's believed that the woman might not have noticed the oncoming train before their truck was crashed.